While you might be drawn to the extreme performance of the X6 M or the beefy V-8 in the X6 xDrive50i, if this is going to be a commuter car, you might be better served with the (still quite fun) six-cylinder xDrive35i. 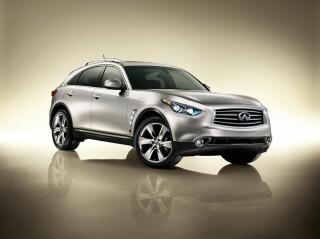 The 2013 BMW X6 finally has some serious competition in the coupe/SUV segment, but remains one of the most impressive sport crossovers around. Bizarre, unique, stylish, silly--whatever you think of the 2013 BMW X6, chances are you've noticed it on the street. It's that sort of head-turning design, a mashup of form factors, and BMW's underlying excellent X5-based platform that makes the 2013 X6 so magnetic. As a cross between a luxury sport coupe and a crossover, the X6 doesn't have many direct competitors. In terms of handling and performance--particularly the X6 M model--there are only two or three real alternatives to the 2013 X6. But does that mean it's worth buying? Perhaps. 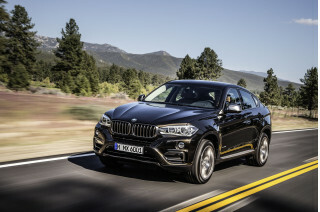 The standard X6, the xDrive35i, gets a 3.0-liter turbocharged in-line six-cylinder under the hood, rated at 300 horsepower and 300 pound-feet of torque. That's plenty of power, but not really enough to seem truly quick for a vehicle of this size. The X6 xDrive50i, however, gets a 400-horsepower, 400 pound-foot 4.4-liter twin-turbo V-8 engine that motivates the X6 with more than mere adequacy. Step up to the X6 M's 555-horsepower output from a similar twin-turbo V-8 engine, and you have all you could ask for and then some. Handling is carlike, with good steering feel and surprisingly little body roll, though again, the X6 M is the standout here. With massive tires, a stiffer suspension, and upgraded electronic controls, the X6 M does things no utility or crossover should--and does them with apparent ease. Neither the NHTSA nor the IIHS have crash-tested the 2013 BMW X6, though the structurally similar X5 scores top marks of "good" according to the IIHS. Safety features include driver and passenger dual-stage front airbags, front side airbags, head protection system (HPS), adaptive brake lights, active head restraints in the front seats, battery disconnect in the event of an accident, anti-theft alarm, and BMW Assist with Bluetooth. The 2013 BMW X6 is still a head-turner, though it's not as much of an oddball as it once was. 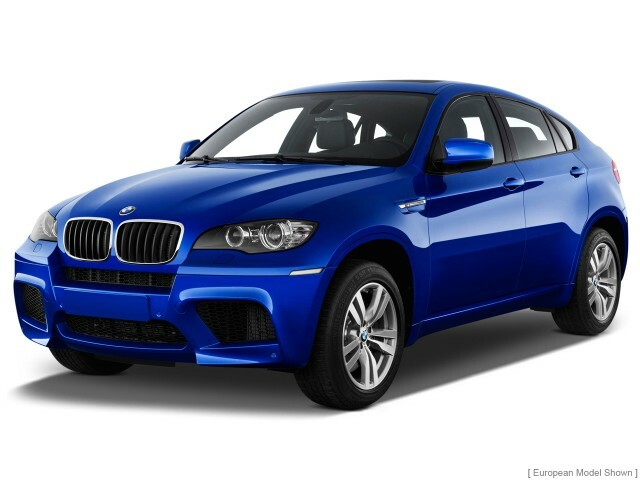 The 2013 BMW X6 carries forward an usual mix of stylistic and design elements. New details this year include a slightly wider kidney grille, repositioned fog lights, optional full-LED headlights ($1,900), and redesigned tail lights with two LED bars. 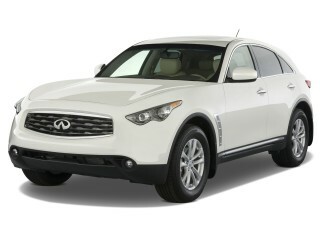 Above the beltline, the 2013 X6 is graceful, even athletic, with coupe- and fastback-like properties in its curves. 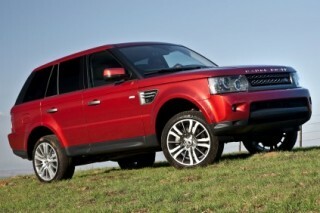 Below the beltline, it's the opposite; tall, somewhat off-road-flavored SUV cues dominate. For some, the combination is too visually incongruous, or simply too weird. For others, it's an acquired taste that improves with time and familiarity. Still others love the X6 on sight. Dress the X6 up in X6 M guise, and it's even more striking, and perhaps even more controversial--what's a crossover doing looking like a supercar? The 2013 BMW X6's car-like ride and handling belie its weight, fair off-road capability, and thirst for gasoline. 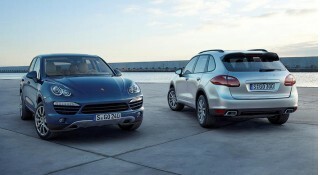 Three core versions of the 2013 BMW X6 offer a powertrain combination to suit most tastes--even if the exterior doesn't. Starting at the least-powerful, the X6 xDrive35i uses a turbocharged in-line six-cylinder engine to pump out 300 horsepower and 19 mpg average. All-wheel drive is standard in all X6s, and all non-M X6s get an eight-speed automatic transmission. 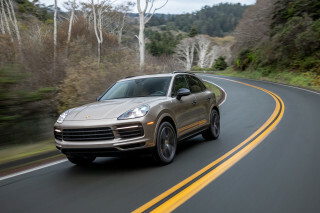 New for 2013 is the M Performance Package, which adds 15 horsepower and 30 pound-feet of torque to the X6 xDrive35i, or 40 horsepower and 30 pound-feet of torque for the X6 xDrive50i. The Sport package will no longer be available. Moving up to the V-8 range, the x6 xDrive50i generates 400 horsepower from a 4.4-liter twin-turbo V-8. Despite the larger power output, the xDrive50i still manages to turn in a combined gas mileage rating of 16 mpg--just 3 mpg worse than the xDrive35i. The wildly quick X6 M's engine is the same size as the xDrive50i, but extracts a massive 555 horsepower from a more highly-tuned, upgraded engine. Due to the huge power output, the X6 M uses a more robust six-speed automatic transmission--and gets just 14 mpg combined. Acceleration is brisk, steering feel is a bit weighty but natural, and ride quality doesn't suffer in the name of sport--except in the X6 M. The X6 M is more capable on track than you'd believe possible in a crossover or utility. 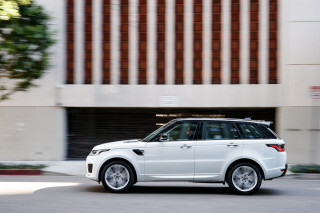 Enabling M Dynamic Mode keeps a safety net in place while still allowing plenty of room of good, fast driving. The X6 M uses a more robust six-speed automatic transmission. The X6 is more capable off-road than you might expect (except for the low-profile-wearing X6 M), but it's still not suitable for expedition use--or anything that might require a low-range transfer case. While it's not as useful or spacious as a full-size SUV, the 2013 BMW X6 is an interesting blend of car- and SUV-like features. The X6's interior, like it's exterior, is of two natures: the front seats are spacious and comfortable, while the rear seats are short on headroom and lack some of the features you'll find in the second row of more traditional SUVs. While cargo area is good compared to a mid-sized sedan, the sloped roof impinges on the space available for larger items. Taken against a lower-roofed, lower-riding hatchback or wagon, however, the X6 is right on target, with about 59.6 cubic feet of cargo space once the second-row seats are folded down. The 2013 BMW X6's long safety equipment list and the brand's proven engineering record should inspire confidence, despite the lack of official crash tests. As is common with expensive, smaller-volume luxury vehicles, neither the NHTSA (National Highway Traffic Safety Administration) nor the IIHS (Insurance Institute for Highway Safety) have crash-tested the 2013 BMW X6. The IIHS has, however, crash-tested the 2012 model of the X5, with which the X6 shares much of its core structure. The 2012 BMW X5 earned top marks of "good" in all tests. The X6's structure is somewhat different, however, so a direct correlation can't necessarily be inferred. Ample standard features and even more upgrade options give the 2013 BMW X6 buyer plenty of room to configure the vehicle they want. BMW is constantly moving forward with equipment and features, and the 2013 X6 is no different, offering a strong base specification that's upgradeable with many of the latest innovations. New standalone options for the 2013 model year include full LED headlights, rear-view camera with Top View function, and the Nappa leather upholster option no longer includes the Nappa leather dashboard. As you'd expect from a BMW, the 2013 X6 offers almost all of the technology, equipment, and entertainment features you'll find on the market today. In addition to the optional upgrades, the X6 offers a strong set of standard features across all models, including: automatic climate control; push-button ignition; front and rear parking sensors; a 10-seaker audio system; 10-way adjustable power seats; dynamic cruise control; and more. Among the available add-on features, you'll find such convenience and high-tech items as: four-zone automatic climate control; real-time traffic; iDrive-based infotainment and navigation with BMW Apps support; Bluetooth connectivity; iPod and USB connections; a premium hi-fi audio system; six-disc DVD/CD changer; and more. Ticking every available box can yield a vehicle that's a veritable tour de force of gadgetry, but also one bearing a hefty price tag. The iDrive system, which contains and control all of the X6's higher functions (infotainment, navigation, audio, etc. ), has grown significantly simpler and more intuitive in recent years, though it can still present a learning curve for new owners. It's not green in an absolute sense, but the 2013 BMW X6 is above average in its class. Not green in any broader sense, the 2013 BMW X6 is nonetheless fairly efficient, relative to the boxier, heavier, and, in many cases, older designs currently in the market. The EPA rates the 2013 BMW X6 xDrive35i at 16 mpg city and 23 mpg highway for a combined rating of 19 mpg. The V-8 xDrive50i scores slightly worse, at 14/20 mpg city/highway and 16 mpg combined. The X6 M's 555-horsepower output relegates it to just 12 mpg city and 17 mpg highway for 14 mpg combined.